Emergencies and problems with braces are, fortunately, rare. However, there is still a small chance that you might experience a problem with your braces. These situations aren’t fun, but they’re often not as serious as they feel in the stress of the moment. 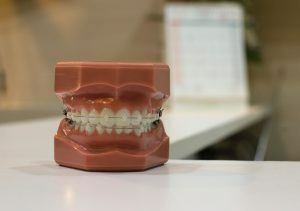 Some braces emergencies need immediate attention from your orthodontist or a physician, while others are not as urgent. Bands, the rings around your back teeth, may come loose. This isn’t an immediate problem, and you’re not in extreme risk. Schedule an appointment with your orthodontist within one or two weeks and let them know that your band has come loose. Without treatment, your tooth enamel may be damaged, so don’t wait too long to address it. Especially when you’ve just gotten your braces, wires may begin to poke out of the back of your braces near your molars. This can be uncomfortable, and fortunately, it can usually be addressed at home. Use the wax given to you by your orthodontist to cover the protruding wire. If that doesn’t solve the problem, you might schedule an appointment with your orthodontist to have the wire clipped for greater comfort. In some cases, braces may irritate the tissue in your mouth and cause small sores. Allowing your mouth to build callouses will largely stop that discomfort for the entire course of your treatment. Use topical oral anesthetics to dull the temporary pain, and you can allow a callous to form. Forgoing the use of wax in order to allow callouses to form more quickly is a personal decision. Consult with your orthodontist for more advice. Breaking your braces might be quite alarming, but in most cases, it’s not an urgent problem. Call your orthodontist immediately for advice, though. In the event of loose braces or brackets, your orthodontist will likely advise you to come in for a fix at your earliest convenience. It’s rare that braces break in such a way that the pieces can be swallowed. If this does occur, though, contact your orthodontist and a physician immediately. Usually, the small pieces and appliances like rubber bands are small and will pass through your system easily. There is a higher risk involved, though, so follow your doctor’s advice. Rapid maxillary expanders are used to widen the upper jaw or upper teeth in some patients. Should yours become loose, contact your orthodontist promptly. Aside from the discomfort involved with a loose expander, your orthodontist will need to correct this problem quickly so that the progress you’ve already made isn’t lost. As always, follow your orthodontist’s recommendations. Just don’t waste any time in calling them.